As far as internationally-acclaimed reggae artist, Junior Kelly, is concerned, his years spent under contract with VP Records were not only productive and interesting, they contributed significantly to his development and progress globally. “They were seven good years musically and otherwise,” Kelly said in an interview. “And seven is really such an awesome number, so it was significant and appropriate that after seven years, we closed the chapter on what proved to be a mutually beneficial agreement,” the conscious Rasta Artiste stated. 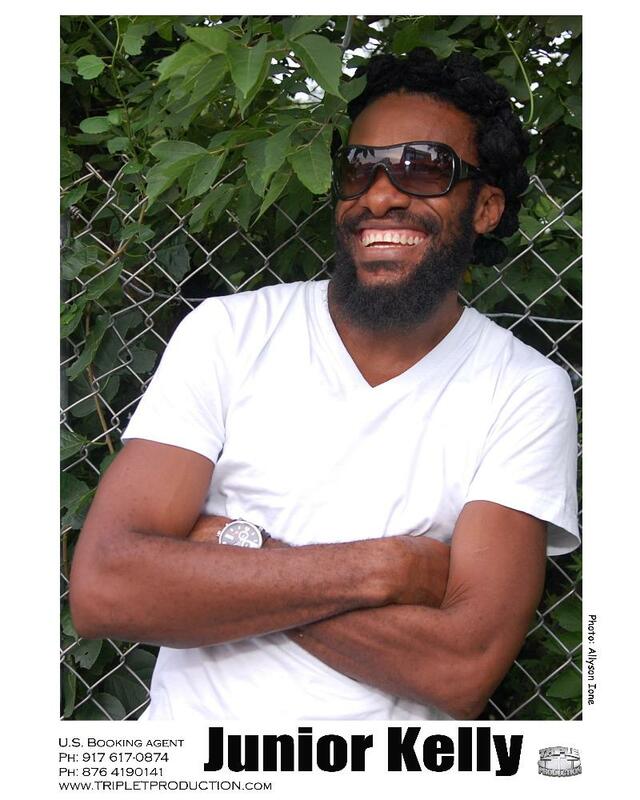 It was in 2003 that Junior Kelly inked the deal with reggae music giant, VP Records, and began a musical journey of exploration that took him along a meandering learning curve. The 2010 opus, Red Pond, signaled the delivery of the final album for VP under the contractual obligations. However, while Red Pond gained critical acclaim, there are some who feel that the true potential of the album was never fully capitalized and that the artist would have benefited more had there been an effective and penetrative marketing thrust in place. Kelly’s management admit that they have heard all the critics, but for them, that chapter has been closed and they are looking towards a future filled with more conscious, uplifting music. However, they were quick to point out that this doesn’t mean that they would never work with VP again. “The vibes between us and VP is great. All respect is due to them and we salute the Chin family for their contribution to the development of reggae and dancehall music,” was the message from Junior Kelly’s team. “We were even considering extending the contractual period and doing another album for Chris (Chin), but we finally made the decision to do some work on our own and explore other options,” a representative for Junior Kelly explained. The VP contract, as is the norm with many binding recording contracts, demanded exclusivity, giving the artiste little room to manoeuvre in terms of production choices. Now that Kelly has regained his independence, so to speak, he has been linking with other producers, listening keenly to the riddims and experiencing the beat of reggae music on various levels. One of the first singles that he dropped in the post-VP era was “Been There”, a Big Bomb Entertainment release on the Broadleaf Riddim. “Been There” worked its way to number one on the Richie B Jamaica Music Countdown, made the Top 5 on the long-running New York Reggae Singles Chart and dominated the Stampede Street Chart during the summer. “Been There” adds to Junior Kelly’s list of songs which have impacted in a huge way. Among them are the “Sunshine,” “Boom Draw”, “Hungry Days,” “Missing You” (with Bar-bee)”, “Too Late” with Queen Ifrica, “Receive” and the blockbuster, breakout single, “Love So Nice“, which spent a record 15 weeks at number one. Junior Kelly has been in the business of making uplifting and empowering reggae music for more than 25 years. Beginning his career during Dancehall’s ‘rude boy’ era in the late ’80s, Kelly’s inspiring messages have always made him a standout artist within Jamaica’s heavily populated entertainment scene. His breakthrough single “Love So Nice” established him as a bonafide star in 2000. His commanding juxtaposition of precisely timed, deejayed rhymes and melodic singing, coupled with his vivid storytelling abilities, took the song to #1 on the Jamaican charts. The album “Love So Nice”, released in 2001, also spawned the well-received singles which brought him recognition throughout the Caribbean, North America, and Europe.